A regular post featuring records that have meant an awful lot to me and, hopefully, will mean just as much to you. 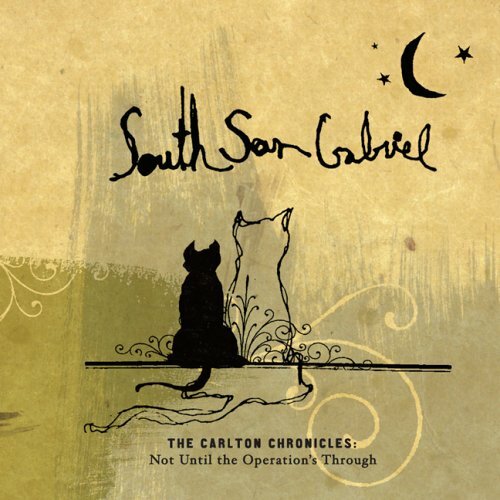 Many moons ago, a close friend pushed a copy of South San Gabriel's The Carlton Chronicles into my paw, insisting: "You'll love it. It's a concept album about a cat". To be honest, I didn't exactly purr at the thought of spending forty minutes of my teenage life listening to a singer/songwriter coughing up fur-balls in loving devotion to his feline friend. Within seconds of pressing play on the still moderately relevant CD player, the hackles on my neck had become pine needles; Carlton Chronicles: Not Until Operation's Through - to give Will Johnson's vastly under-rated 2005 record it's full title - was no gimmick-groping fad. Nine tracks written from the perspective of Carlton, our feline protagonist, include a whimsical condonation of primal murder ('Predatory King Today'), an odd-yet-enthralling take on overcoming alienation ('I Am Six Pounds of Dynamite'), and an extraordinarily beautiful lament over irreparable mistakes and the unavoidable consequences ('I Feel Too Young to Die'). The slow haunt of 'Sicknessing' introduces our furry hero to his end. But not until the operation's through." If fans of Iron & Wine and the Bonnie "Prince" love this record half as much as I did and still do then they have just stumbled upon something very special indeed.